If you've been thinking about buying a brand-new Samsung Galaxy S9, this is the moment you've been waiting for. 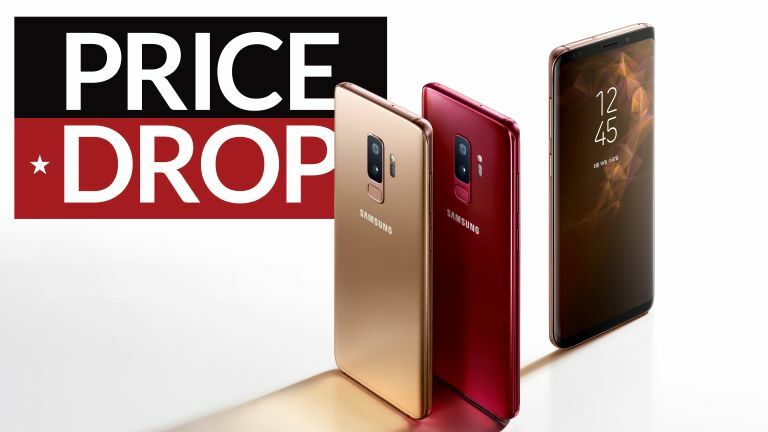 Mobiles.co.uk has unleashed a blockbuster Galaxy S9 deal for Black Friday that includes 4GB of 4G mobile data, unlimited texts and minutes for £23 a month with a £84.99 one-off upfront cost. Sounds pretty tempting, eh? Well, don't add to your basket just yet because Mobiles.co.uk is slashing £15 off that upfront cost. Use the voucher code OMD15 to drop the one-off fee to £69.99. The 24-month contract runs on the Vodafone network, so Galaxy S9 owners will benefit from Vodafone Global roaming, which allows phone owners to take your allowance of minutes, text messages and mobile data in 110 destinations worldwide, including Spain, France, United States, Canada, Australia, and more. In total, the Galaxy S9 deal on Vodafone will cost £621.99 over the two years. For comparison, the flagship Galaxy S9 cost £739 SIM-free when it made its debut on the Samsung online store following its worldwide launch in March – a price it still holds at the time of writing. As such, T3 readers will be saving £117 when buying the Galaxy S9 with unlimited texts, calls and 4GB of 4G mobile data on Vodafone. The sheer amount of savings on offer in this Black Friday deal singlehandedly dispel the myth that it is always cheaper to buy your handset SIM-free and then negotiate a SIM-only deal with your favourite mobile network.